Here's another track I already had on 7", but with added Nineties pleasure. 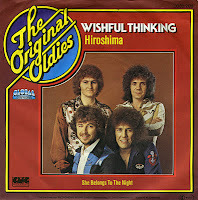 'Hiroshima' by Wishful Thinking was re-released with a 90's mix after German singer Sandra had released her cover version of the song as a single. This single - which comes with a promotional fact sheet, by the way - presents both the original version of the song plus a remix by Dave Morgan. Who's Dave Morgan, you ask? He was a guitarist with Electric Light Orchestra from 1981 to 1986 and also the original writer of the song, recorded by Wishful Thinking back in 1970. 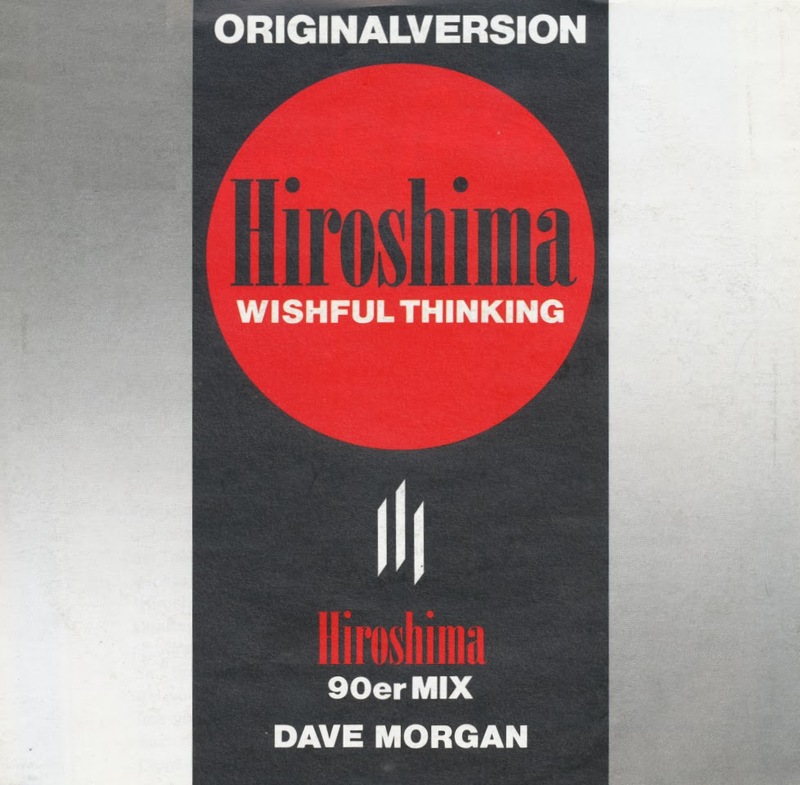 David Morgan wrote 'Hiroshima' and recorded it with the band Wishful Thinking in 1969. The single wasn't a hit, but when it was re-released in Germany in 1978, it reached number 8 there. The single stayed in the charts for months. In 1990 the German singer Sandra recorded a cover version of this song for her fourth solo album 'Paintings in yellow'. That version was eventually released as a single as well, becoming one of her biggest hits in Central Europe.